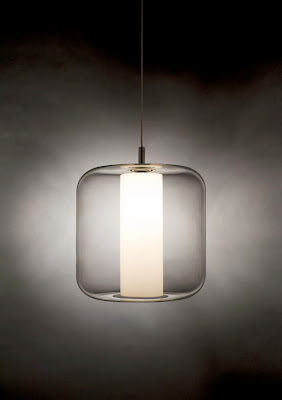 IRIS Modern Polycarbonate Transparent Glass-Like Pendant Lamp from Viso Lighting - The beautiful Iris pendant lamp was designed by Filipe Lisboa for Viso lighting in Europe. Iris's translucent polycarbonate cylinder allows a colorful array of light to transform any space. Unlike a real flower, you can count on this Iris to thrive throughout the year. 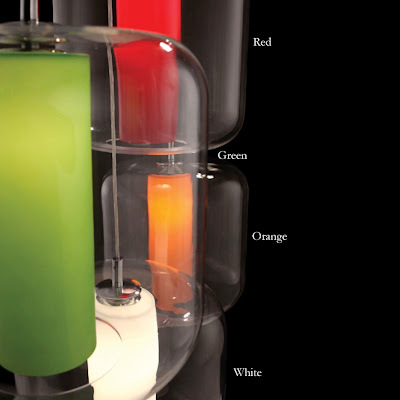 A Murano style glass column exudes warmth, joy and serenity.